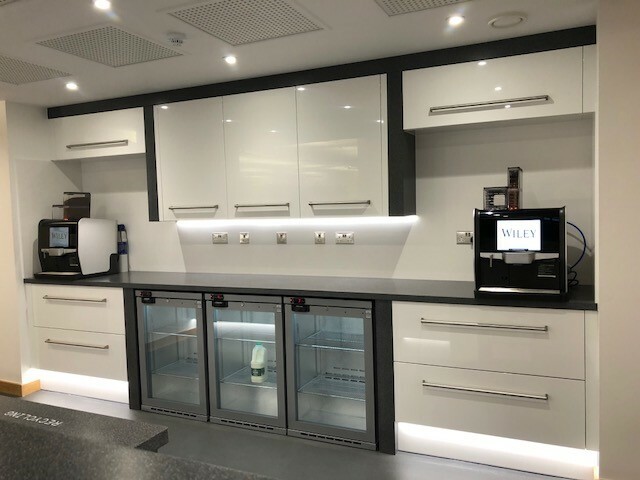 Working within a large office complex, LST undertook the refurbishment of five staff kitchens and drinks preparation areas. The projects were undertaken whilst the office was fully occupied, and it was essential that noise and dust were minimised. Works were fully segregated from the rest of the office to reduce disturbance and to prevent staff from entering the construction works. To help ensure minimal disruption much of the work was undertaken out of hours. 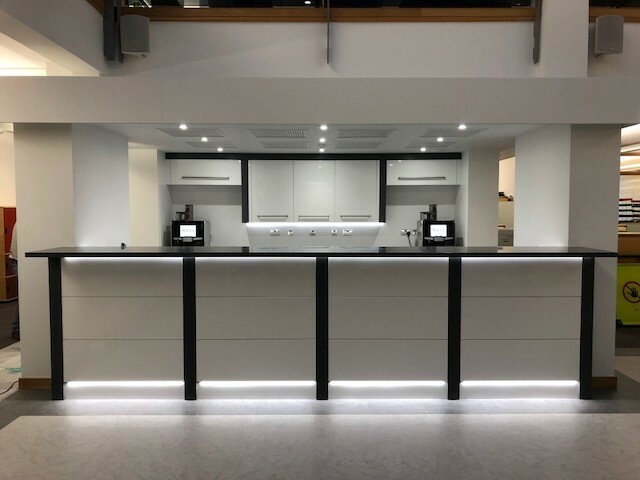 LST completed the existing kitchen strip out to remove all the old facilities, and then constructed the internal walls for the new kitchen layouts. Fit out works included the M&E first fix; full decoration; and all floor finishes. 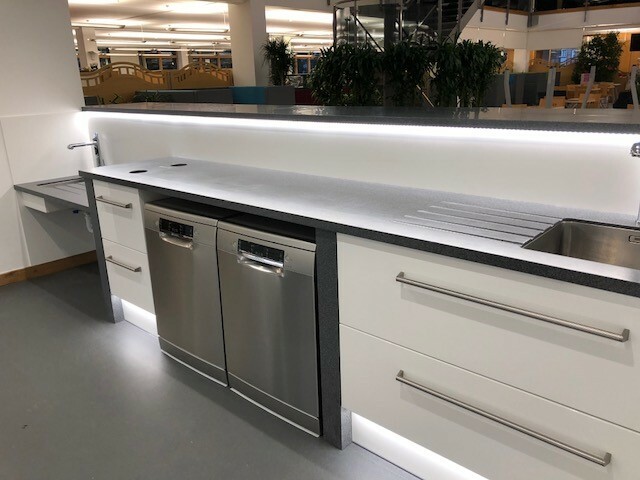 The kitchens installed were custom built by Sylvarna, providing a high-quality finish and a modern and contemporary space for staff to enjoy. 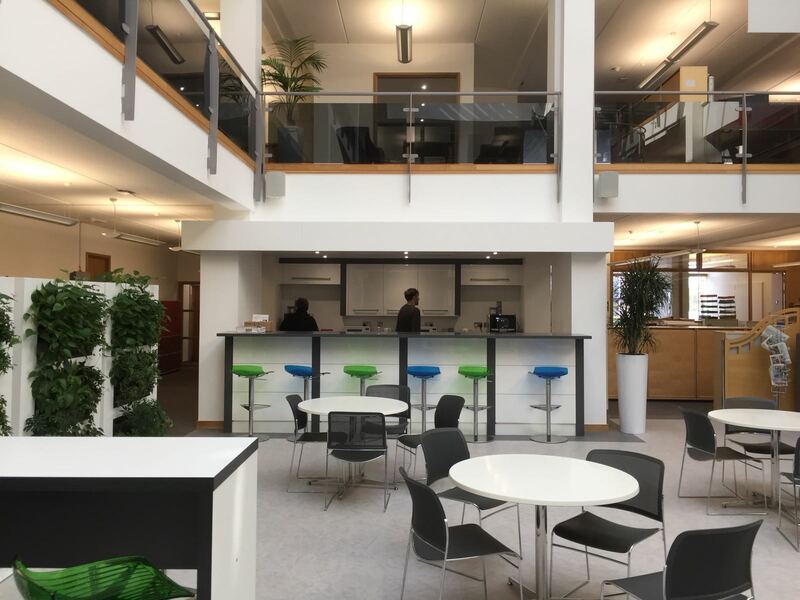 Good communication with the building Facilities Managers and Project Managers was essential in ensuring the works progressed to programme and budget, and in ensuring the office was able to continue to function as normal throughout. The projects were awarded in 3 phases, demonstrating the high level of customer satisfaction with the overall quality of the works. Parsonage Farm School involved both construction of a new building at the front of the campus and some internal alterations within the existing school building.